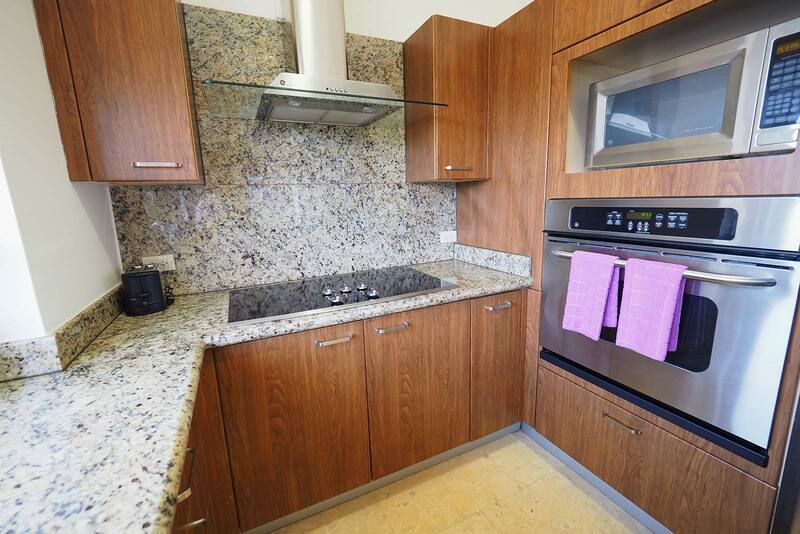 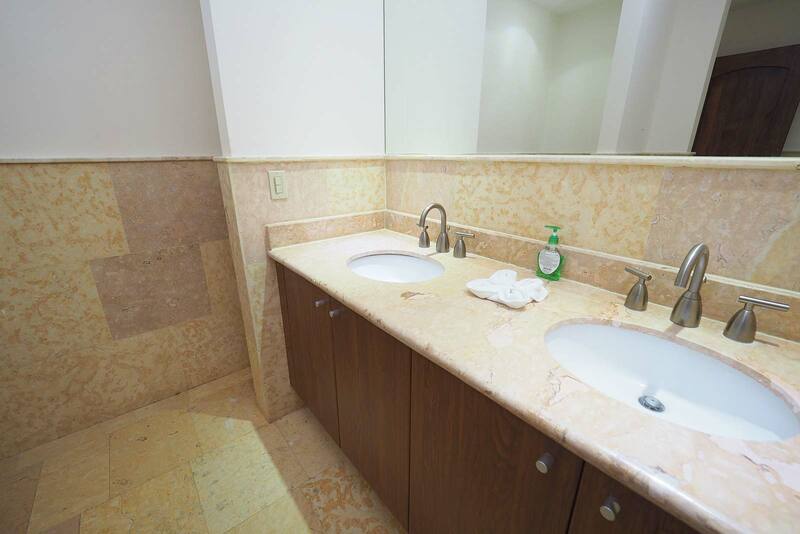 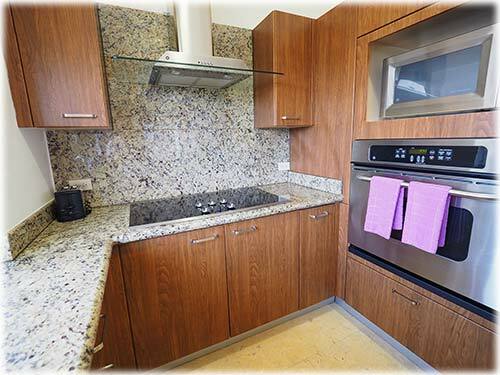 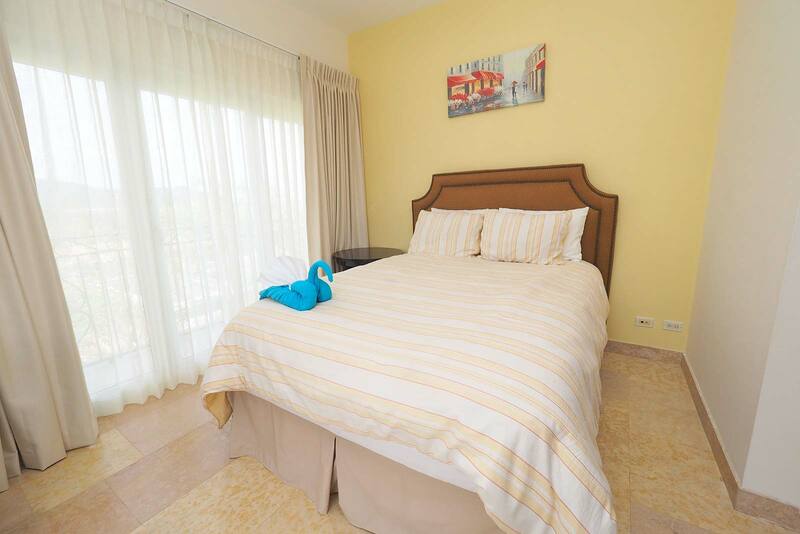 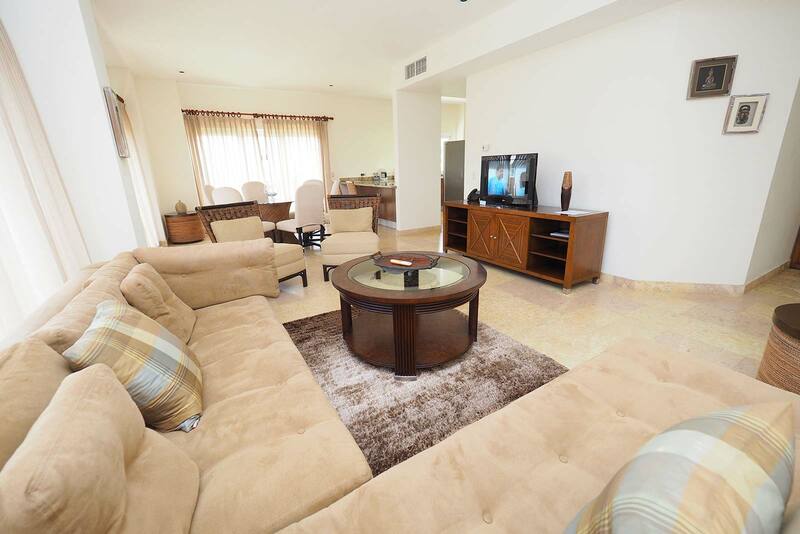 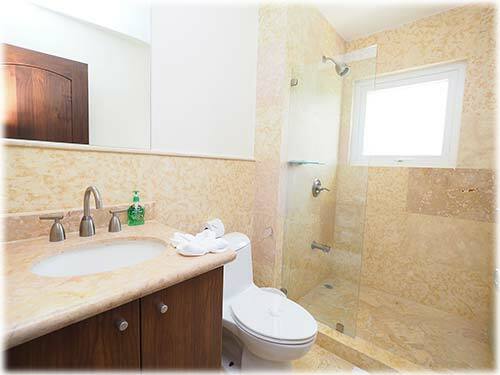 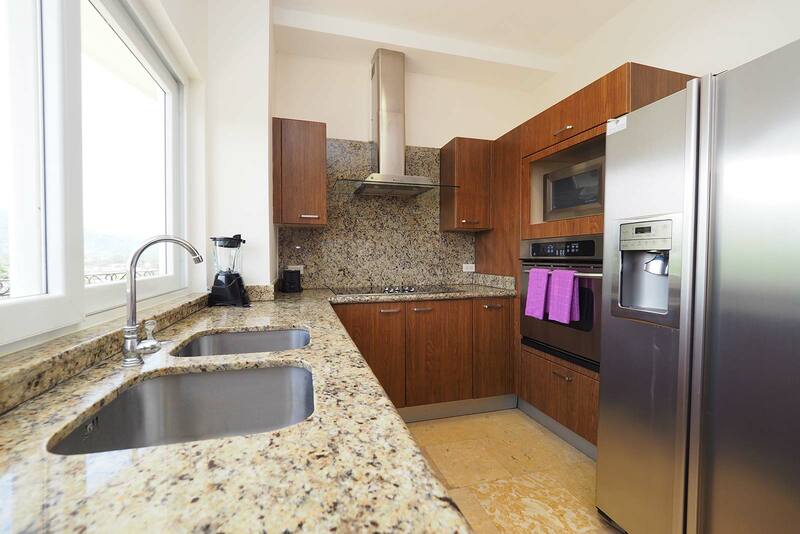 This luxurious two bedroom unit is located in an exclusive beachfront residence. 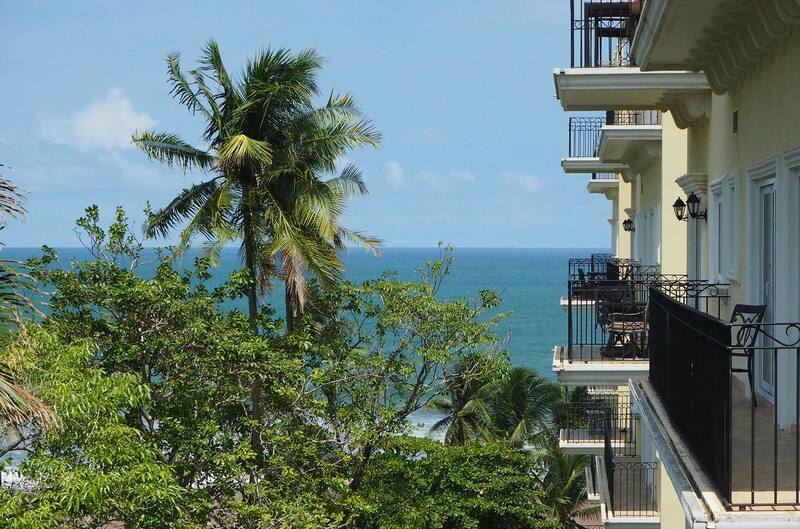 Placed on the sixth floor, balconies and windows provide the best ocean views for you to have the first-row seat for watching the famous Jacó sunsets. 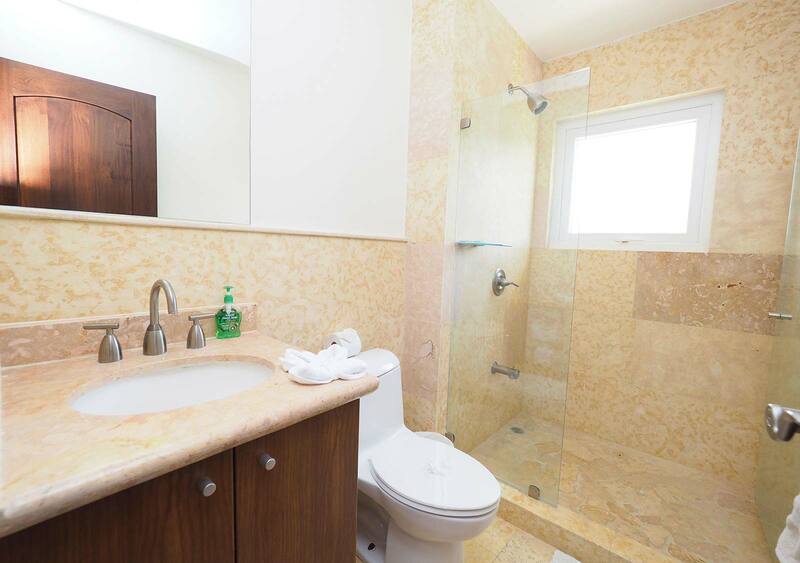 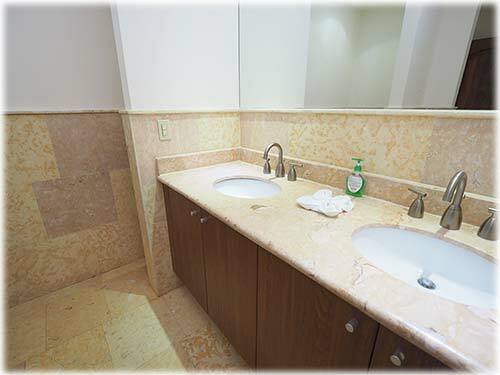 The condo is fully equipped, with high-end finishings and glamorous details. 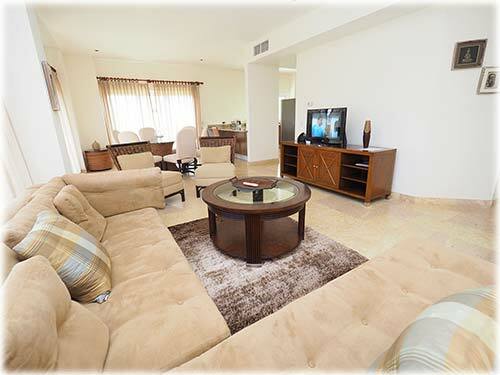 Once you enter the property, you'll find the spacious living room, with sofas and cable TV. 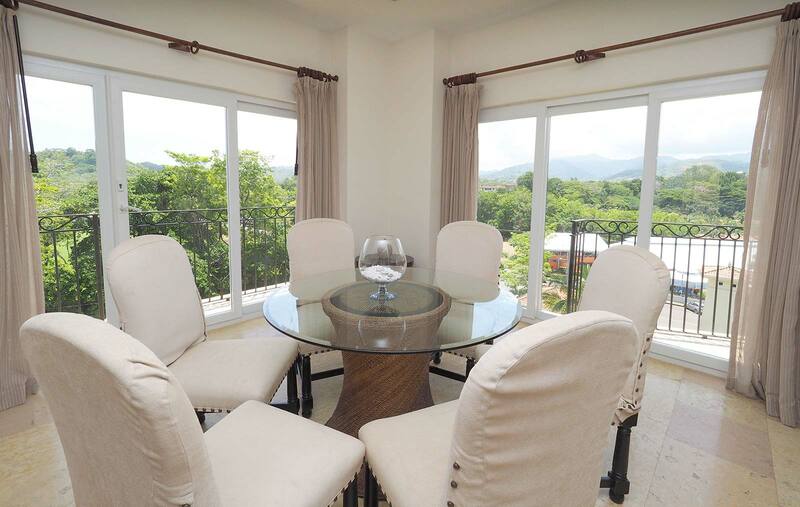 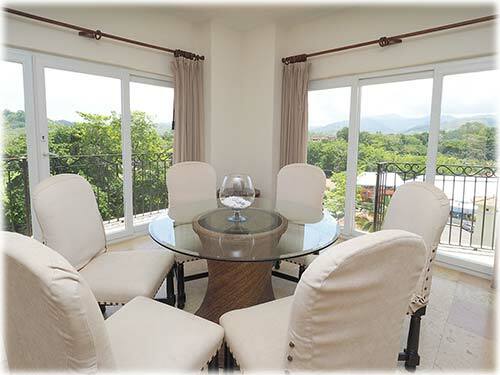 Further on, there's a round dining table that is accompanied by tall windows that show the perfect views. 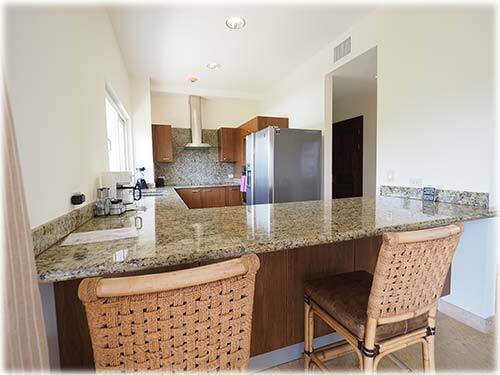 There are more sitting spaces on the kitchen bar. 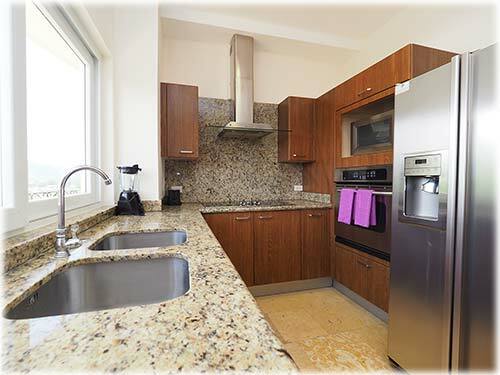 The kitchen is fully equipped and ready to be the witness of the best meals. 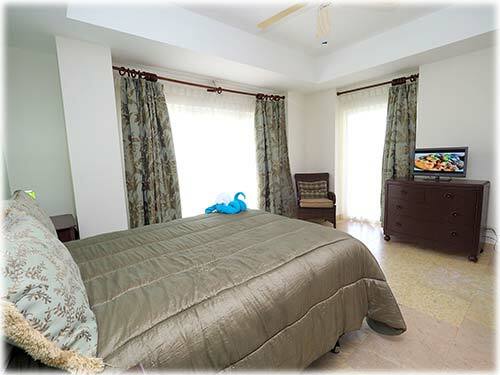 The rooms are very luminous and spacious. 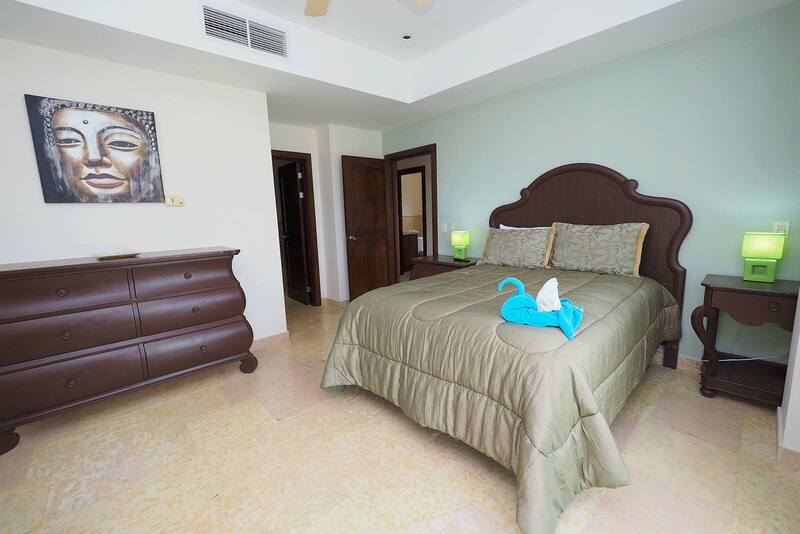 The main bedroom counts with an ensuite bathroom and a king bed. 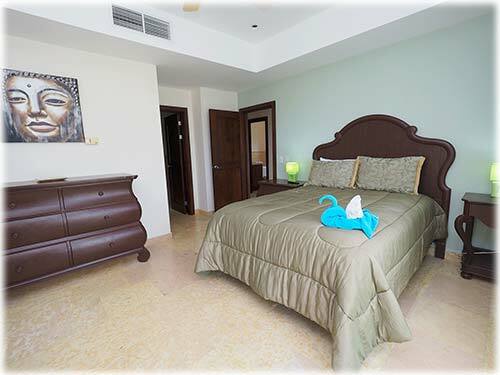 The second bedroom contains a queen bed and shares a bathroom with the rest of the unit. 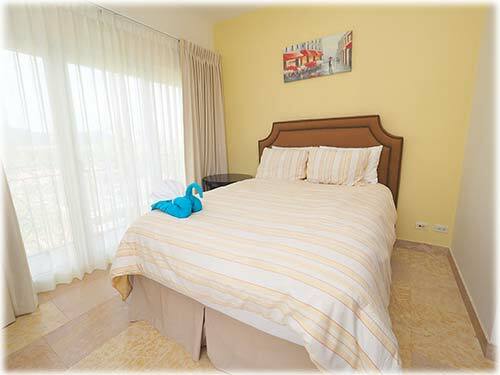 There is enough space for 4 people to sleep comfortably. 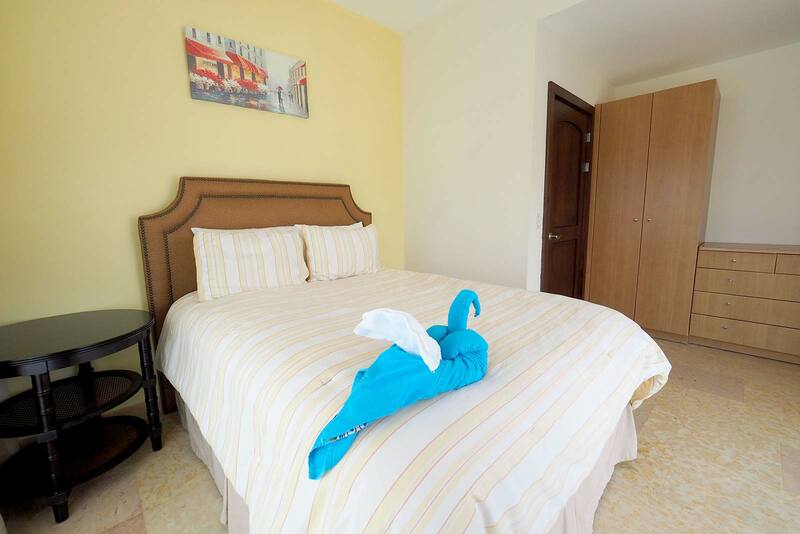 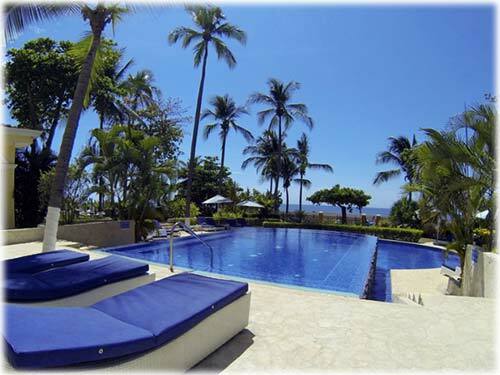 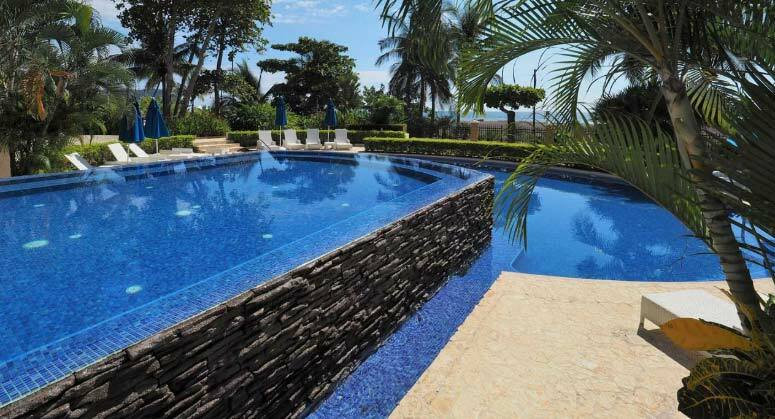 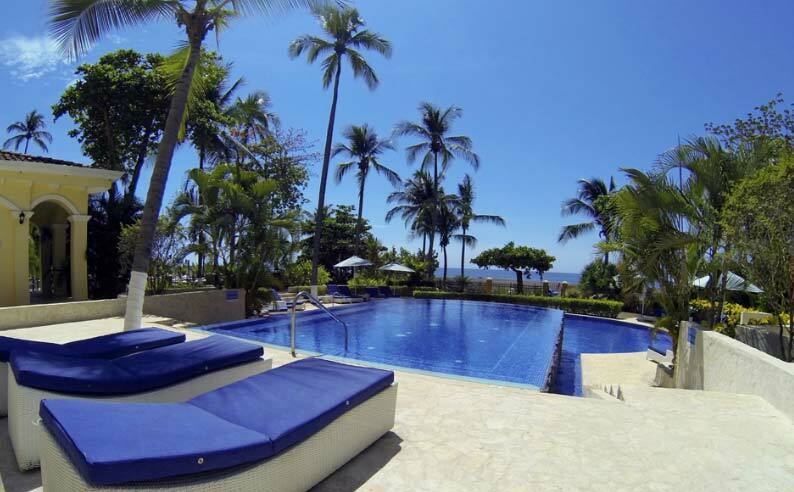 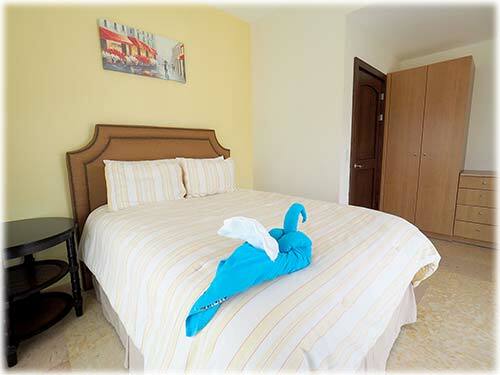 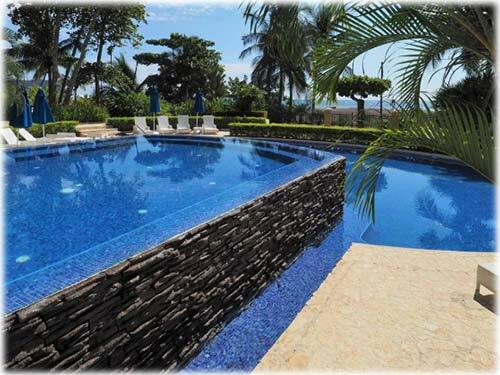 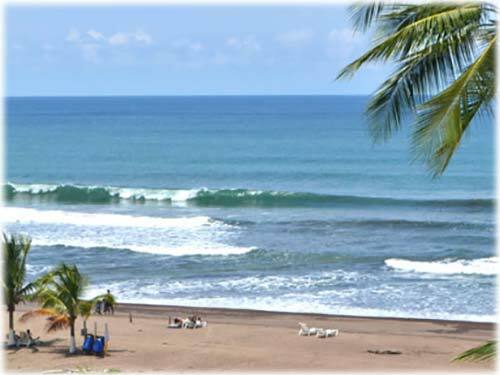 The complex is located beachfront to Jaco Beach, it counts with two swimming pools with direct access to the beach. 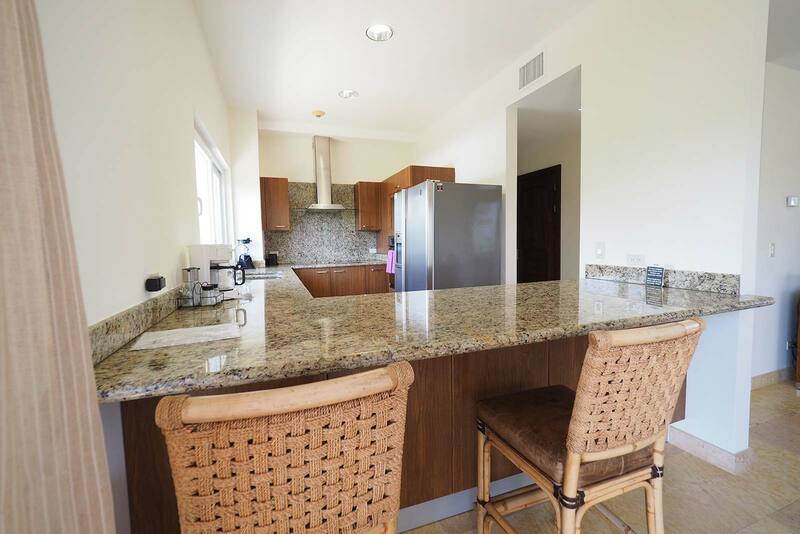 There is also a gym and bbq shared area. 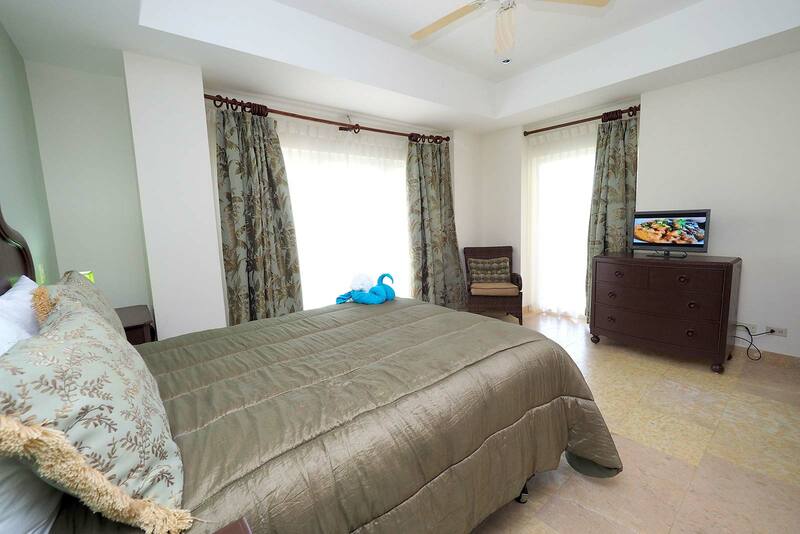 It is walking distance to the main town where you can enjoy first world amenities such as bars, restaurants, store, and supermarkets. 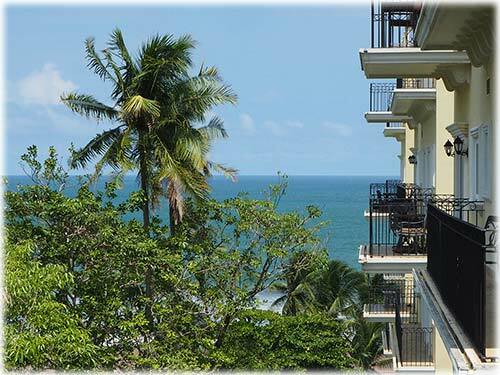 This is a modern town, which has always had great nightlife and plenty of visitors throughout the whole year.